At Campbell Page our ambition is to help people find great jobs and a brighter future, by placing our communities at the heart of what we do. This means embracing the various communities we work with and our Acknowledgement of Country is a dedication to the traditional Elders of all the lands we work and meet on. Our Acknowledgement of Country is also our way of symbolising our respect to our Indigenous team mates, participants and communities. 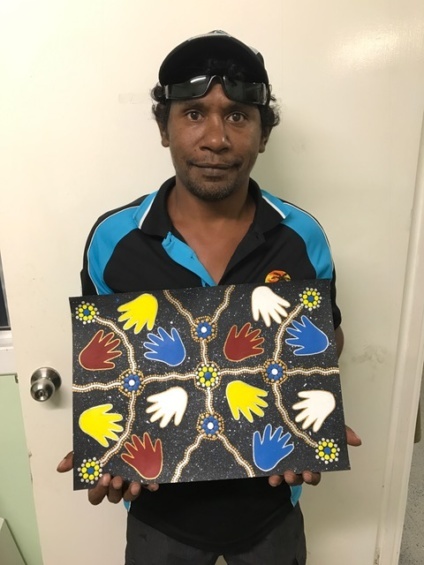 We commissioned our very own Ian Palmer, a resident from the Palm Island Community and an Activity Supervisor for our Community Development Programme, to produce the art work representing our acknowledgement. ‘As the Artist of this Painting I would like to put my interpretation forward on how Campbell Page is helping our community. 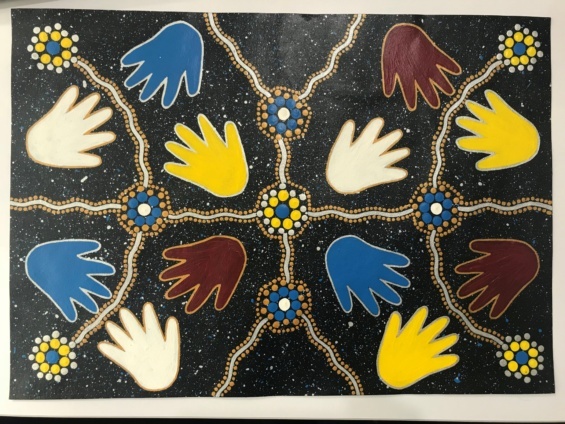 “The Hands“ represent how Campbell Page is supporting and helping our community to branch out and connect with others. “The Dots“ represent our communities and how we are all connected. “The Background” is the Night sky. This is my dreaming and how I see our people moving toward a better future with the help of Campbell Page.’ -Ian Palmer.